Put Your Best Foot Forward…Onto Floor Graphics! 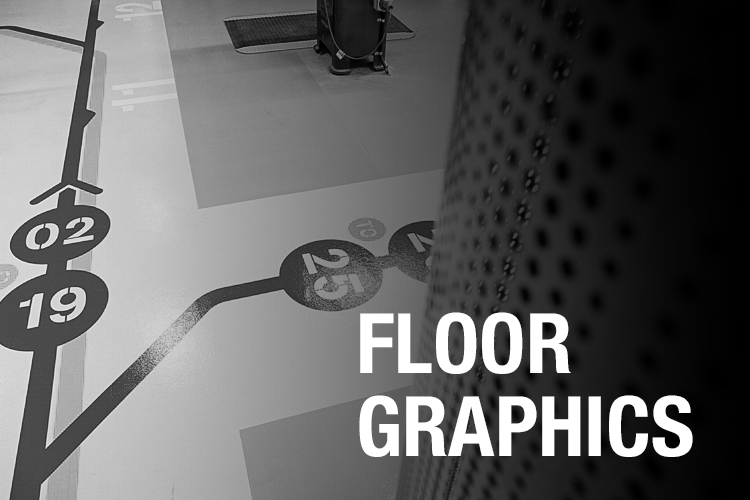 Floor graphics will get the attention of even the most distracted without being a major distraction itself. You’ve often heard the complaint that society is always walking around staring down at their phones. Well, instead of complaining, you might as well make use of it. Whether you want to use them to advertise or to creatively amp up your office space, floor graphics are well worth the money. Not only can they be an inexpensive addition to your marketing, they will also make your company distinctive. When you use floor graphics, you make a strong impression for your clients the minute they walk into the door. And, the ways in which you can effectively use floor graphics are endless. Some unique ways include: putting it right by the door so that it’s the first thing people see, laying it across a staircase, using it to direct or motivate people, and our personal favorite, pairing them with wall graphics so the graphics flow into and complement each other. Our team will work with you to design the perfect floor graphic for your space. So, put your best foot forward and give us a call at (605) 331-2155 or visit us online.